Bonus hunters are sure to be driven wild with desire when they see the enormous welcome package at Casino Dingo. This remarkable online casino also comes equipped with a sensational range of promotions as well as a truly rewarding loyalty program that is jam-packed with additional bonuses and exclusive promotions. Newly registered players at Dingo Casino will be entitled to a 4-tier welcome package to the value of $1,400 in bonuses along with 140 free spins. Your initial deposit will be entitled to a 100% welcome bonus up to a maximum of $200 along with 20 free spins, while your second deposit will be entitled to a 100% match bonus up to a maximum of $300 along with 30 free spins. You will also receive 100% match up to a maximum of $400 on your third deposit along with 40 free spins as well as a 100% match bonus up to a maximum of $500 on your fourth deposit along with 50 free spins. The welcome bonuses need to be wagered 30 times, while winnings from the free spins will need to be wagered 45 times. The free spins can be enjoyed on a selection of games from Betsoft or Fugaso. Once you claimed the welcome bonuses and free spins, there's also a wide range of other promotions to look forward to as an existing player at CasinoDingo. These promotions range from weekend cashback offers to exclusive reload bonuses on qualifying deposits. But that's not all, Dingo Casino also impresses with a 4-tier loyalty program known as the Exclusive Club. Every time you wager on slots, you'll receive comp points. These comp points will assist you in climbing the four different loyalty tiers, including Bronze, Silver, Gold, and Platinum. The Bronze loyalty tier comes with a dedicated account manager, while the Silver loyalty tier comes with a surprise gift. The Gold loyalty tier will allow you to claim cashback bonuses and the Platinum loyalty tier will provide entries into monthly draws and tailor-made bonuses. 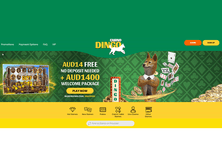 When we compared Dingo Casino to All Wins Casino, we immediately noticed that Dingo Casino offers a bigger and better welcome bonus compared to the 250% welcome bonus up to $1,500 offered at All Wins Casino. It should come as no surprise that Casino Dingo is primarily aimed towards players that reside in Australia. However, you'll be pleased to know that this online casino establishment can also be enjoyed in a wide range of other countries from around the world, including Canada, Europe, and other countries across the globe. Please note, however, that players in the United Kingdom, the United States, Spain, Panama, Hong Kong, and Indonesia will not be able to register an account with DingoCasino. Dingo Casino is powered by some of the most popular software providers in the online gaming industry, including Lucky, Mr. Slotty, EvoPlay, GS, Wazdan, Felix Gaming, Booming Games, Fugaso, Booongo Gaming, and Betsoft. All the games offered at Casino Dingo can be enjoyed on desktop, mobile, and tablet devices, including iOS devices such as iPhone and iPad as well as Android devices like Samsung, Windows, and more. The casino does not offer a dedicated mobile app as of yet, but we're confident it's in the pipeline. The largest collection of casino games available at DingoCasino is obviously slots. Players will find an enormous selection of slots, ranging from simplistic 3-reel classics to modern 5-reel video slots with free spins, multipliers, different payline structures, and an assortment of unique and interesting themes. The most popular slot titles include The Mummy 2018, Horror Castle, Fear the Zombies, Aztec Pyramids, Olympia, Mega Power Heroes, and Crazy Bot. Players will also find a massive range of table and card games at Casino Dingo. There is a decent range of roulette and blackjack variations on offer, such as American Roulette, Roulette Pro, Zero Spin Roulette, Blackjack Neon, Trump It Blackjack, and Blackjack Switch along with a variety of poker games like Caribbean Poker, Poker Three, and Casino Hold'em Poker. 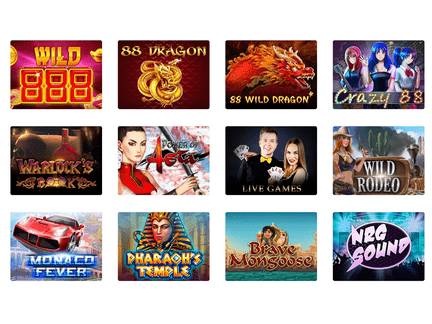 Dingo Casino is also bursting at the seams with video poker variants with titles such as Jacks or Better Deluxe, Magic Poker, Caravan Poker, Alien Poker, and Deuces on the Rocks. Apart from the arsenal of traditional casino games at Casino Dingo, players will also be pleased to know that there's a sensational Live Casino section available. For those interested in enjoying a truly immersive online gambling experience, you cannot go wrong with Dingo Casino. Within the Live Casino section, players will be treated to Live Blackjack, Live Casino Hold'em, Live Roulette, and Live Baccarat that are hosted by real live dealers from a dedicated studio. For those interested in transforming their lives with a life-changing amount can look forward to a phenomenal range of progressive jackpot slots, including Book of Tattoo, Knockout, Sunset Wild, Carousel, Plagues of Glory, Shake It, Trump It, Mr. Toxicus, Double Cash, and more. Unfortunately, there isn't a winner's page available at Dingo Casino and none of the progressive jackpot slots have made headlines since the casino was established. However, this is bound to change in the near future. Casino Dingo is considered a newcomer in the online gambling industry and boasts with an excellent customer service centre as well as an outstanding reputation among players. We were unable to locate any player complaints at the time of writing, but we will monitor this closely as time goes by and should any complaint be raised with Dingo Casino, we will update our review immediately. Seeing as we were unable to find any complaints towards Casino Dingo, they currently have a 5 star rating with us. Let's hope it stays that way going forward. Dingo Casino opened its virtual doors as early as 2018 and is operated and owned by Topia Solutions N.V Casinos. DingoCasino is regulated and licensed by the Gaming Control Board of Curacao which ensures this online casino is trustworthy, honest, and completely fair at all times. CasinoDingo also ensures that your personal data and financial information is kept safe from third-party hackers by utilizing the latest 128-bit SSL encryption technology. Furthermore, the casino is also frequently tested by independent auditing companies which evaluate the random number generator to ensure you have a fair gambling experience, regardless of the game you decide to play. Situated in the top right-hand corner of the Casino Dingo homepage is the sign up button. Registering a new account can be achieved in two easy steps where you only need to provide a few personal details and then you ready to deposit and play. One of the most appealing things at Casino Dingo is the phenomenal welcome package, allowing you to claim up to $1,400 in bonuses along with 140 free spins on your initial 4 deposits. That's truly remarkable. You don't even require any vouchers or coupons to claim these promos either. Unfortunately, there isn't any no deposit bonuses, but with a welcome package like this, this shouldn't bother you at all. The overall experience is truly memorable. The software is flawless and the games loads in record time. The banking section is filled with popular payment methods to ensure you can easily transact on your account and the bonuses are credited immediately after you make a deposit. Support is also extremely friendly and helpful and receiving your winnings is hassle-free without any delays. Compared to other online casinos, this is definitely one that will leave a lasting impression.